Boxhouse Publishing is Having a Birthday! 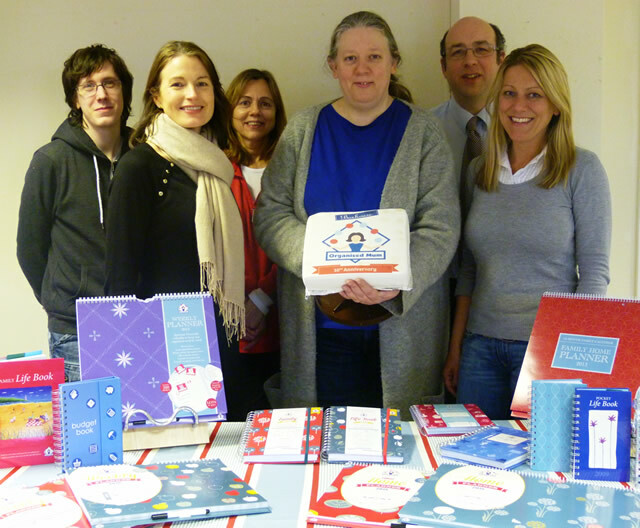 Wincanton-based Boxhouse Publishing, the company behind the Organised Mum brand of calendars, diaries and home stationery, is celebrating its 10th birthday this year. Started by mum-of-two Sarah Sadler on her kitchen table, the company specialises in creating innovative calendars and diaries to help busy mothers manage their hectic lives. Ten years on and having started life with just two products, the company now boasts a range of calendars, diaries and other organisational stationery and accessories, and employs seven full-time staff. As well as selling online and through major retailers such as John Lewis and WHSmith, the company also has distributors as far afield as Malaysia and Singapore. In recent years, the company has also achieved further success overseas, tailoring a number of its flagship products for the German, French and American markets. “Being a mum myself, I can really identify with our target market and tailor our products exactly for their needs. Our customers want beautiful, high quality products combined with practical features that will really help them keep on top of their day-to-day organisation. As such, our products include lots of clever features such as the perforated shopping lists and colourful reminder stickers that we include in our Life Book diaries and Weekly Planner calendars. The company is planning to celebrate its 10th anniversary with lots of customer competitions and giveaways on the launch of its new 2016 range in June when it will unveil the exciting new designs for the coming year. Plus, with other new product designs including a Budget Book and new additions to its diary covers range, the company looks set for further success in the future.